Finally we merged in MATE 1.9 the job done by Alexander van der Meij for Google Summer of Code 2014, and from next stable release we will have the possibility to enable/disable Caja extensions at runtime. Wonderful! 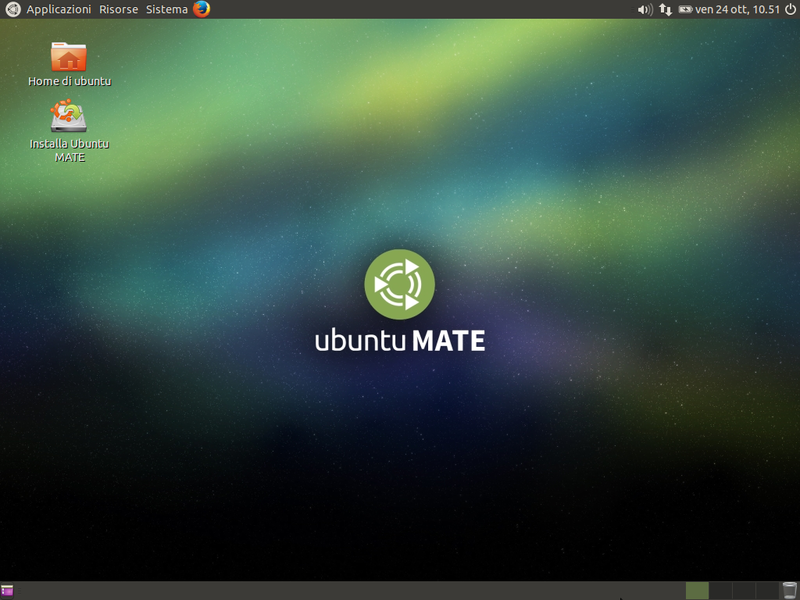 I have no other words to describe the yesterday release of Ubuntu MATE 14.10! 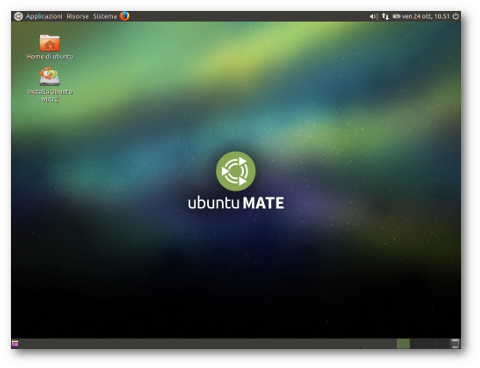 Thanks to Martin Wimpress and all Ubuntu MATE Team! Read the official announce here. As usual during MATE development, when unstable tarballs are ready for users testing, we prepare repositories and ask them to help us to make it ready to become stable. At the moment, there are guidelines for Arch Linux, Debian, Fedora, Gentoo and Ubuntu in this wiki page. Please notice that this will be the first release with working documentation links, so help us to debug manual too. GTK3 support adding in MATE is going on, almost all packages now build with GTK3 flag enabled. There are still a lot of small things to fix, but at least now we can have a running MATE session with latest GTK library. Here's a couple of screenshots posted some days ago by Sander Sweers on #mate-dev. In this wiki page you can follow the status of MATE 1.7. Roadmap for 1.8 release is here. As you know, MATE 1.6 migrated to GSettings/dconf and dropped MateConf (the GConf fork). In this post I’ll give you some tips to learn this new configuration system. 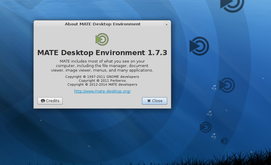 This is a list of new features planned for the upcoming MATE Desktop 1.6 release. The list doesnt contain all the removed deprecated packages replaced with new technologies in glib/gio. Caja (file manager): Added support for new freedesktop.org File Manager DBus Interface. Atril (document viewer): Added backend for XPS files. Panel: Added –run-dialog option to open the run dialog. Panel (windows list applet): You can use middle click button to close windows. Control center (Windows applet): Added option to enable compositing manager and fast alt-tab. Control center (Appearance applet): Set gconf/gsettings metacity theme if metacity or compiz are running. 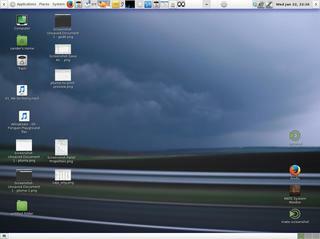 Control center (Network applet): Use same GNOME proxy settings in gsettings-desktop-schemas. Marco (window manager): Added option to open new windows on the center of the screen. Calc: Added buttons to support inverse trig functions. Notification daemon: Added option to show notifications only on one screen. 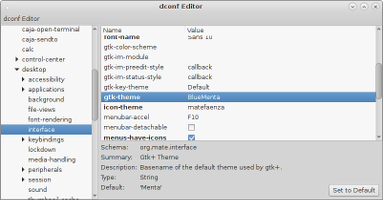 Themes: Added GTK3 support for most themes. Settings daemon: Added support for mpris2 dbus interface for media keys. Session manager: Added initial support for systemd-logind to shutdown and reboot without ConsoleKit. 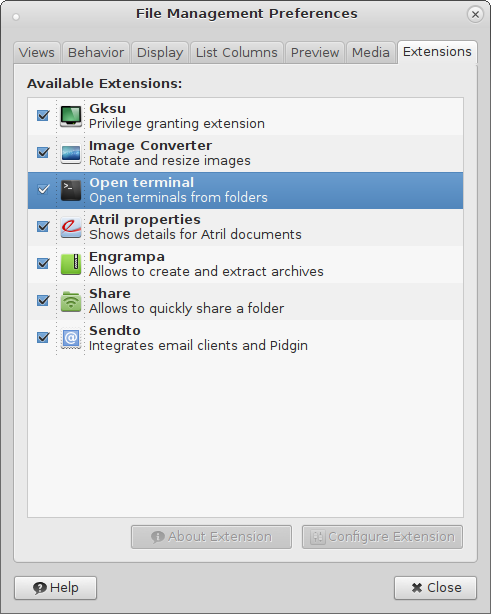 Open terminal caja extension: Allow to opening a remote terminal on sftp mounts. I would like to thank all people involved in the development and debug in the past months, and of course everyone that uses MATE. You can add deb http://dev.mate-desktop.org/debian wheezy main to your /etc/apt/sources.list. You can add deb http://dev.mate-desktop.org/ubuntu quantal main to your /etc/apt/sources.list. 1.5 packages, also if unstable, are already on official Fedora repositories. 1.5 packages are available through OBS: https://build.opensuse.org/project/repositories?project=X11:MATE. You can build 1.5 packages using PKGBUILDs from https://github.com/mate-desktop/archlinux-packages. This is a short list of some “success stories” for MATE Desktop that I know. Some distributions include MATE Desktop officially (and some of them have a dedicated MATE edition too): Fedora, Linux Mint, Sabayon and Salix OS. The Physics Department of the Freie Universitaet Berlin in Germany deploys MATE on their Debian Wheezy desktops for both students and employees. 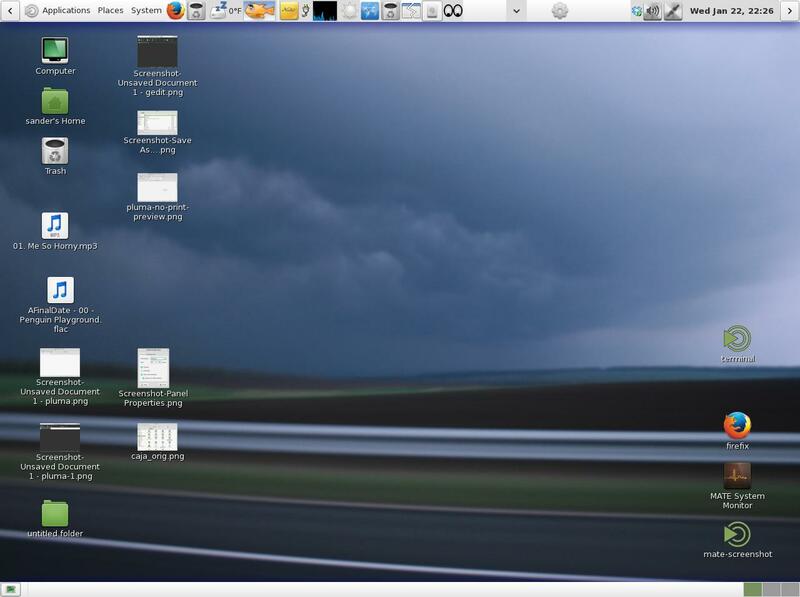 Portuguese Insurance company Tranquilidade has planned to migrate to Ubuntu 12.04 and MATE Desktop on their offices. Canadian Legal Aid Manitoba has planned to migrate to MATE Desktop 1.6 on their offices, and their sysadmin is helping on its development too. First Colo, a German Datacenter, has planned to migrate to MATE Desktop, and donated us a dedicated server to support our development. I’m really happy to announce that gnome-main-menu will come back, adapted for MATE, with same name and with the source still on same location on git.gnome.org, as there is no reason to fork it. Federico Mena Quintero accepted the proposal of me and Nelson Marques to continue to maintain it for MATE. 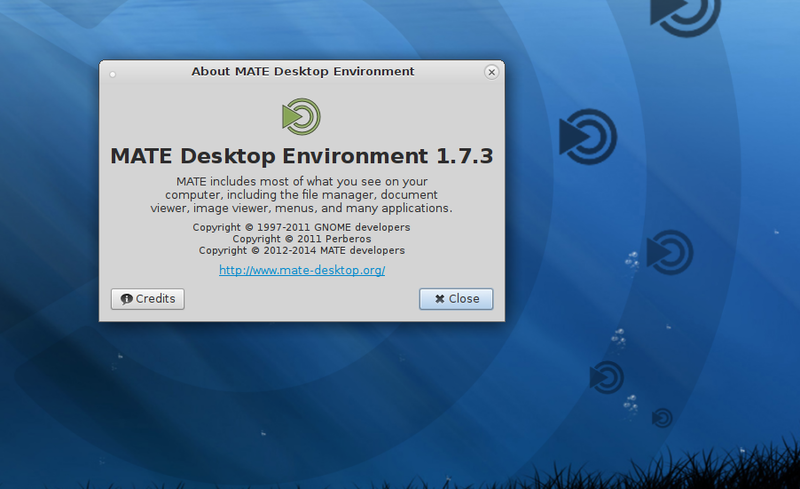 The next gnome-main-menu version will come out together with MATE 1.6.